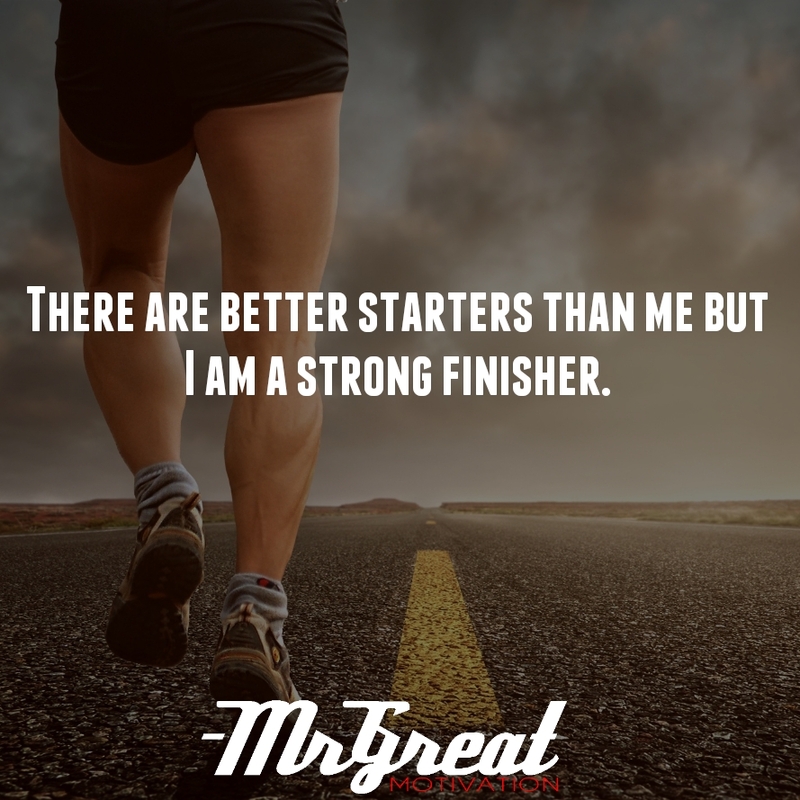 There are better starters than me but I am a strong finisher. All firms face competition. Rival(s) is not just another business that might take money away from you. There will be better starters always, it can be another product or service that's being produced and which you ought to be selling before somebody else takes it up. It’s better not to waste time and energy comparing ourselves to other people, particularly those who seem to have it all mapped out, it’s about getting to know yourself – your strengths, your weaknesses, your motivations – and welcoming them. In fact, there’s nothing cognizant about turning your back on your core strengths. It’s all about focusing on what you can rather than what you can’t do. This will give you the confidence and great conviction to back yourself, even in the face of uncertainty. Nothing is certain in life but one thing you can be sure of is that you won’t develop if you don’t challenge yourself. Get out of your comfort zone. Aside from the human need to keep your brain ticking, learning is also crucial in a world that doesn’t stop moving. New technologies arrive every day, and there are always people looking to stay ahead of the game. To compete you need to learn, practice and then learn some more. Keep your mind open to great opportunities that you weren’t expecting or that come along at an inopportune moment. Invest time in preparing for that next opportunity so you’re ready when it does come along. 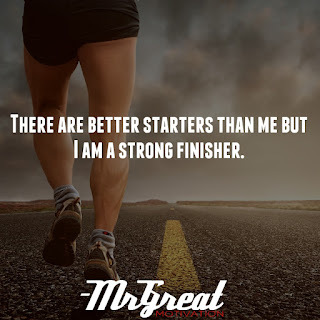 Be the one who finishes the race first. Do it now. Stay motivated.